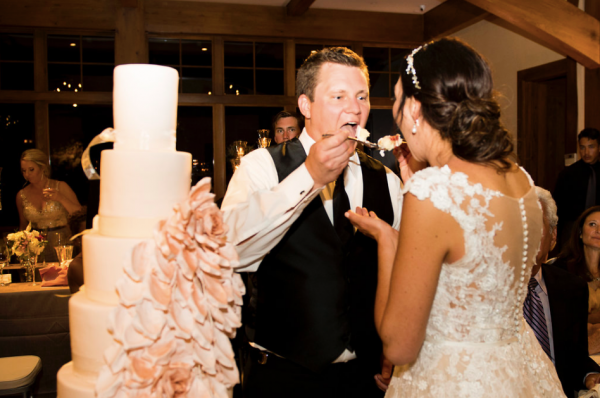 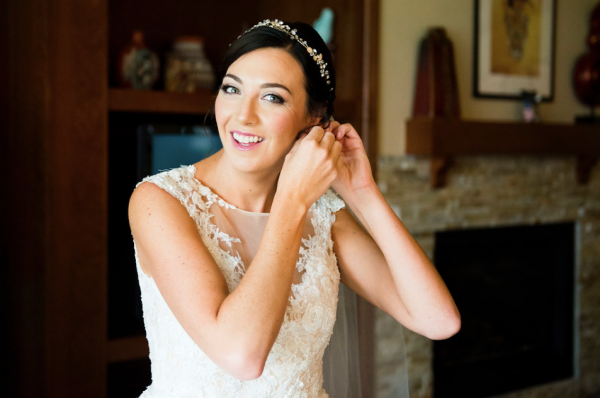 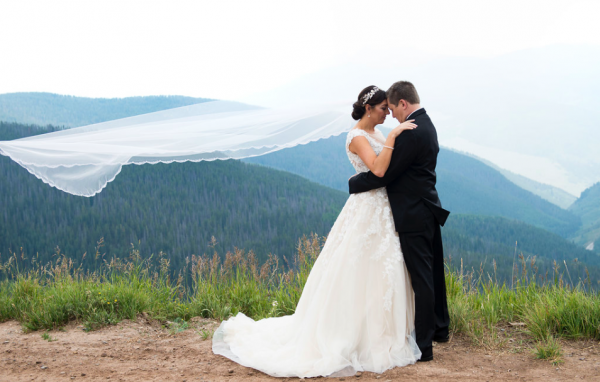 With Emily and Michael, it was a Colorado love story from the start. 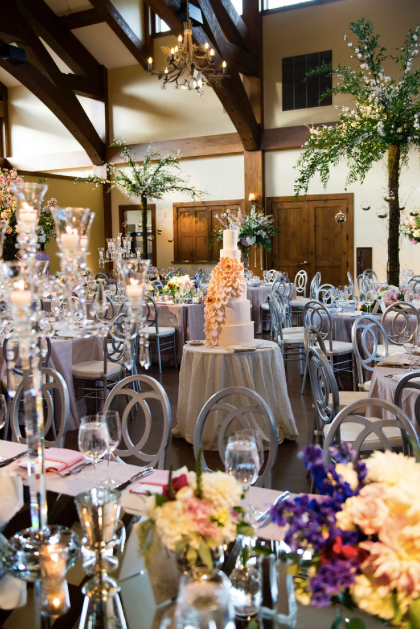 Both born and raised in Colorado, he was a mountain guy and she was a city girl but they both loved the beauty that the Colorado Rocky Mountains offered so when Michael proposed to Emily it was only fitting that they design the wedding around the mountain where they met, Vail. 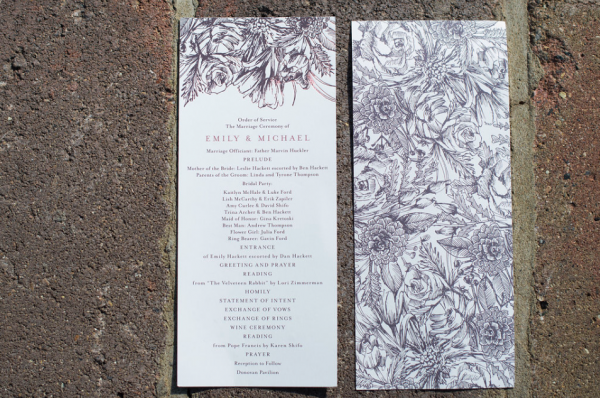 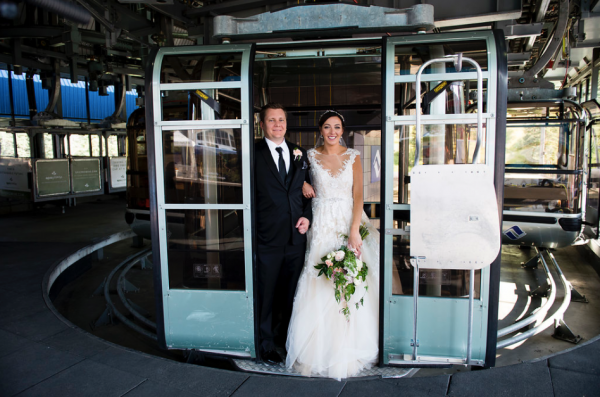 The August wedding brought together the perfect balance of Emily’s city and upscale style with Michael’s outdoor mountain lifestyle. 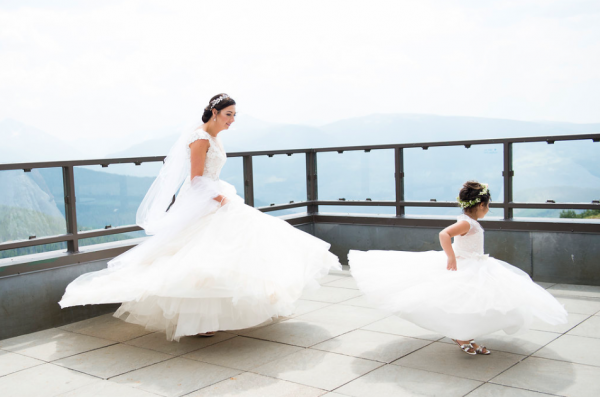 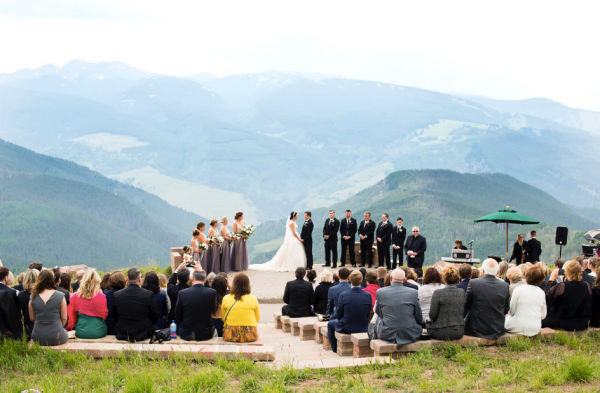 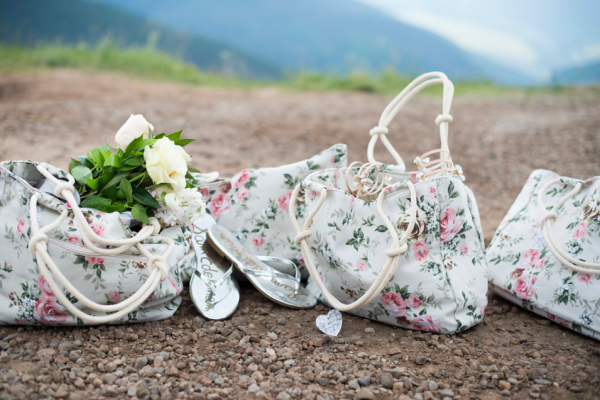 When looking for venues it was only natural to host the ceremony on top of majestic and iconic Vail Mountain. 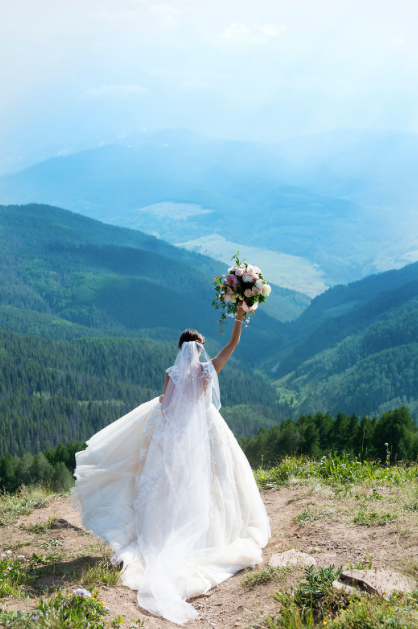 The natural beauty of Vail, with stunning Mount of the Holy Cross looming at 14,000 feet in the background provided the perfect natural backdrop for the afternoon wedding. 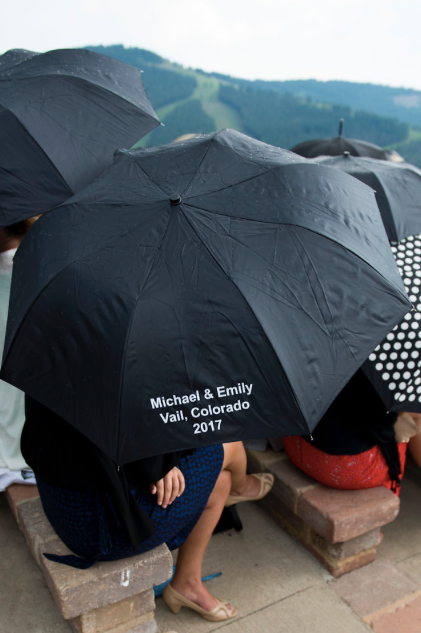 Customized umbrellas with the couple’s names and date were at the top of the gondola to provide shade for guests while they took in the ceremony and sites. 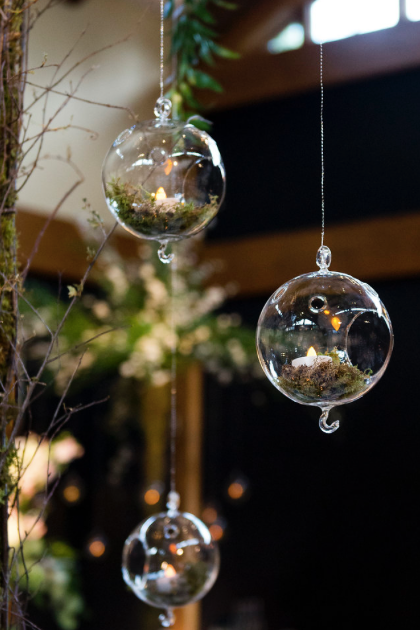 Mini oxygen cans were also available to begin the first round of small details that were everywhere during the wedding weekend. 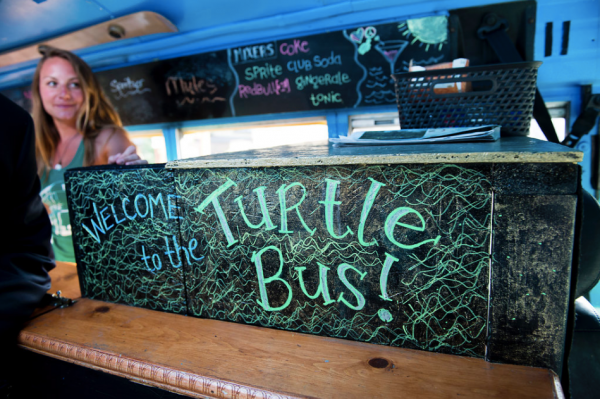 After the outdoor mountain top ceremony, guests were escorted down the gondola where the infamous Vail Turtle Bus awaited them to offer a beverage and wisk them to the Donovan Pavilion for the opulent reception. 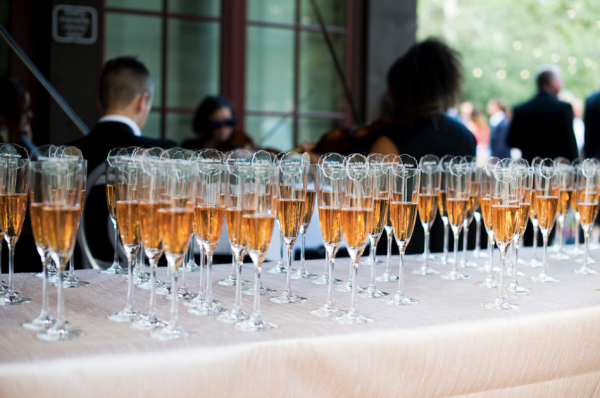 Glasses of French Sparkling Rosé awaited guests on the back patio of Donovan Pavilion. 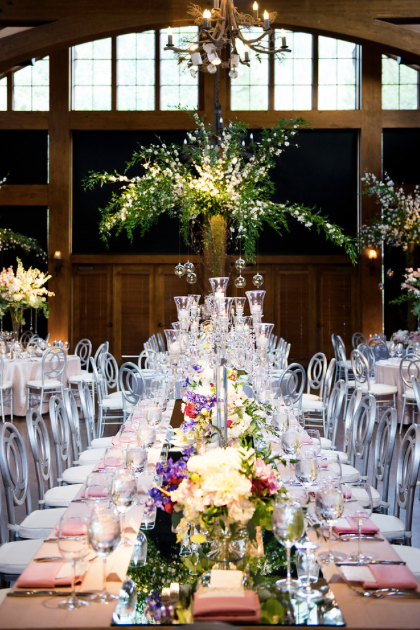 Nestled next to the Gore Creek with lush aspen trees towering overhead, guests enjoyed a custom oxygen bar while feasting on Colorado themed food from Epicurean Catering. 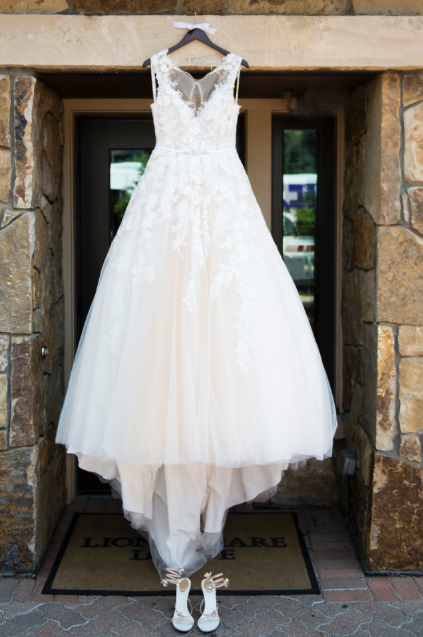 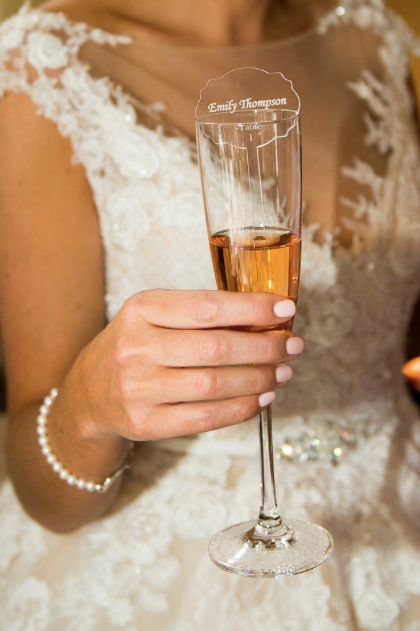 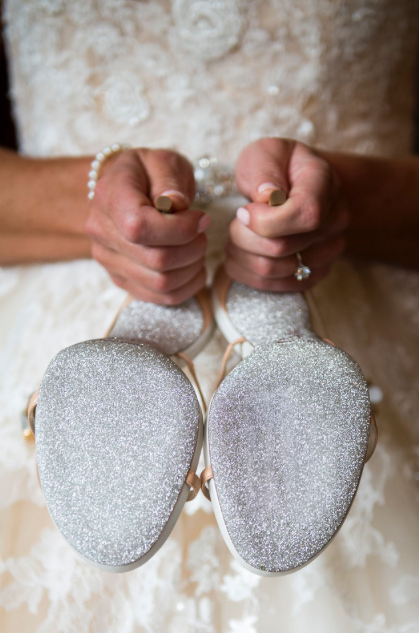 While their guests were enjoying cocktail hour, the bridal party was busy taking photos throughout Vail and Lionshead villages. 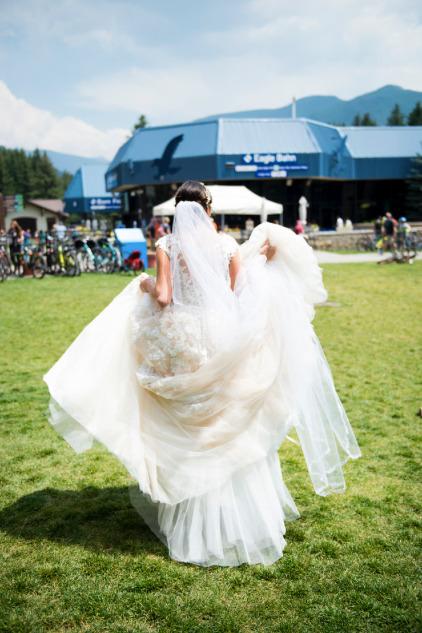 From dancing to live music to drinks along iconic Bridge Street the photos show the vibrancy of summers in Vail. 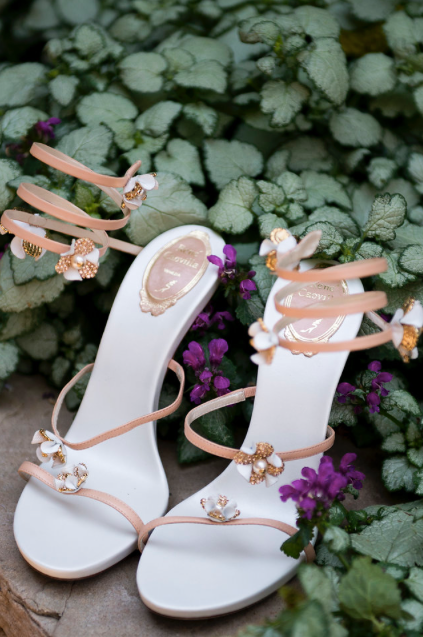 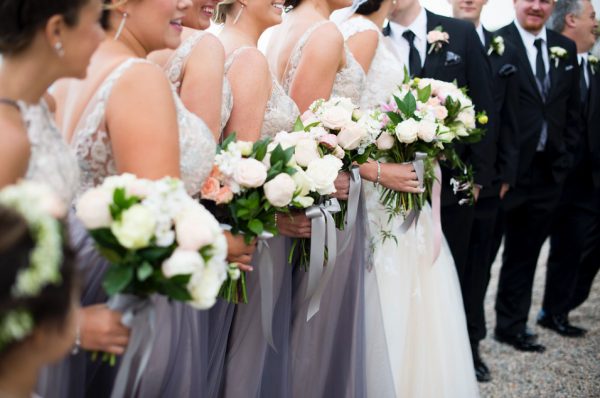 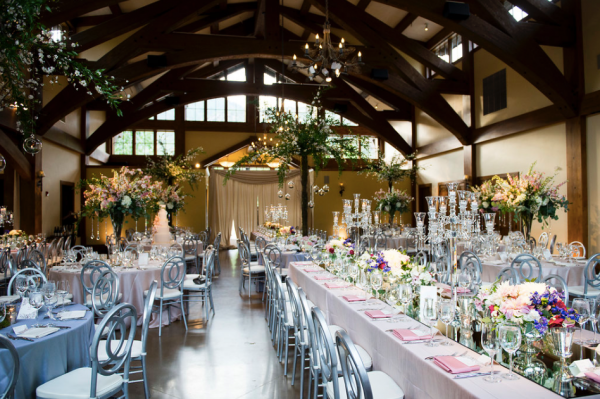 Once the bridal party returned to Donovan Pavilion, the guests were invited to take their seats in the spacious pavilion that was transformed into a garden fit for a fairytale. 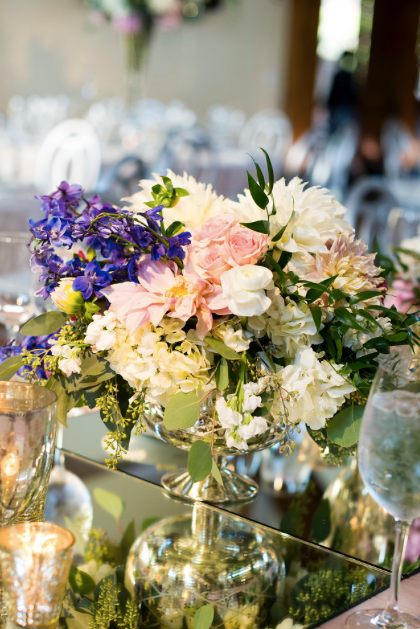 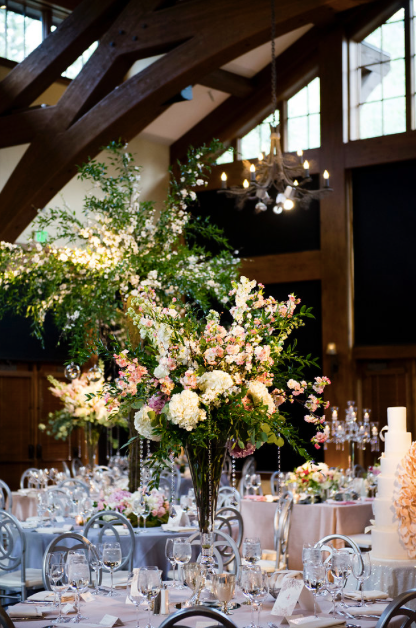 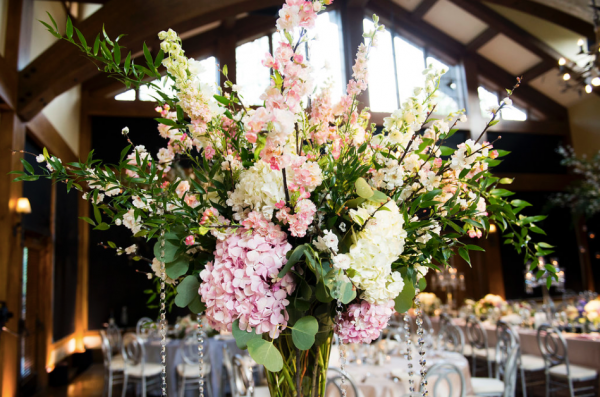 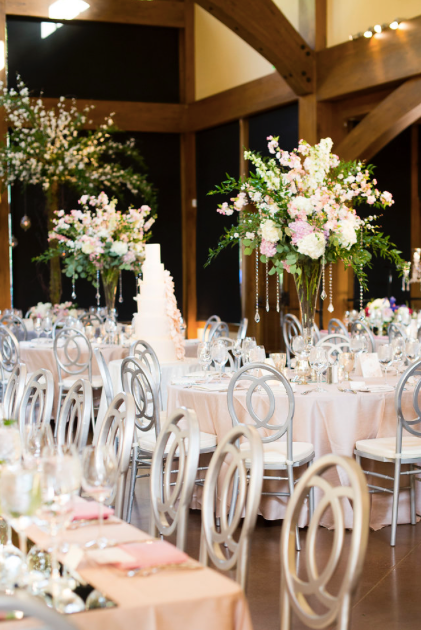 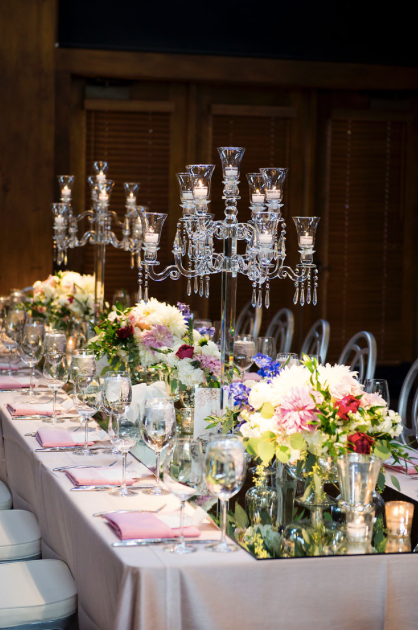 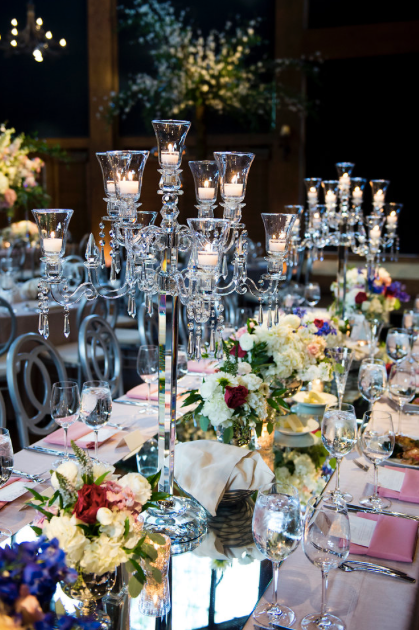 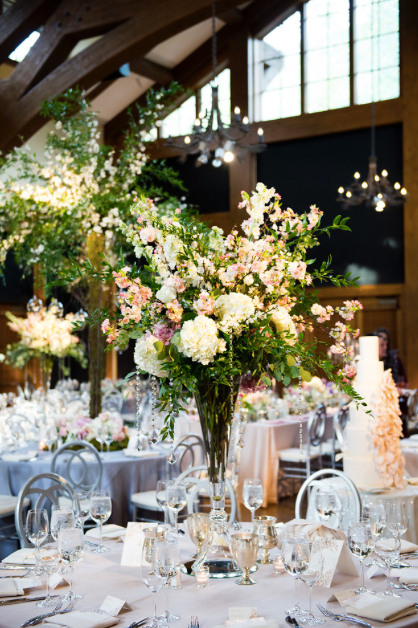 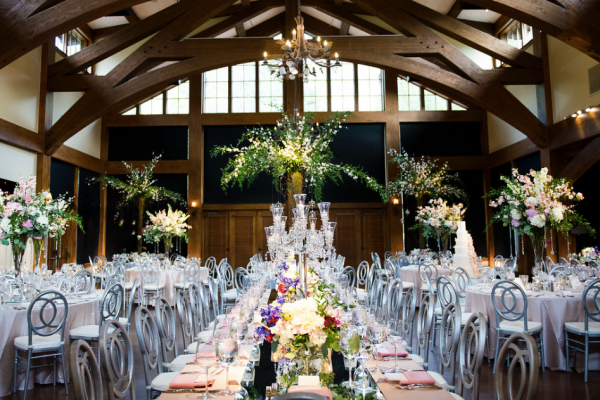 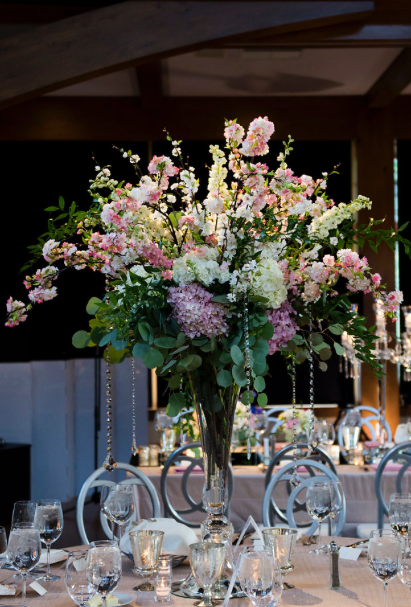 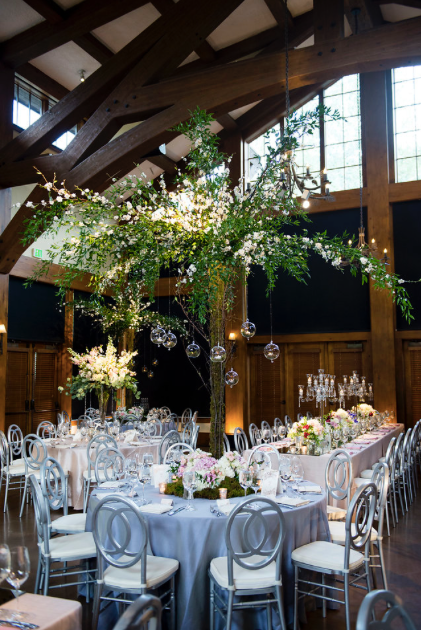 Custom flowering trees with floating candle orbs, crystal candelabras dripping with flowers and enhanced with candlelight and fluted vases with hydrangeas, cherry branches and crystals took the deep wood beams of Donovan to a city meets mountain level. 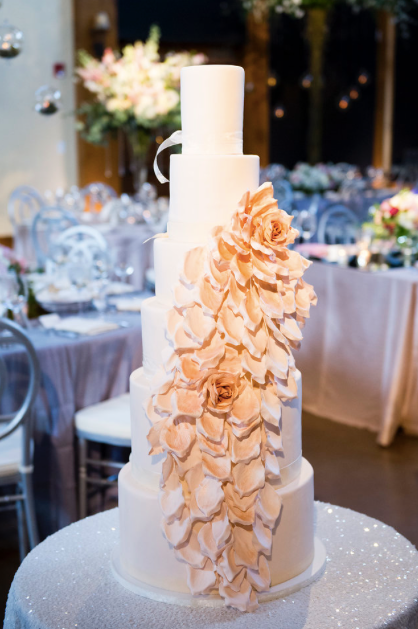 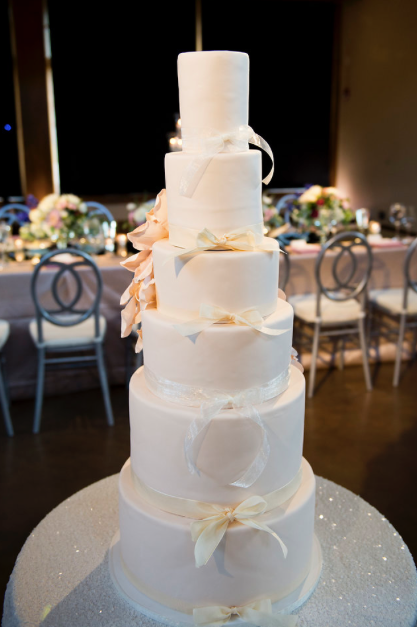 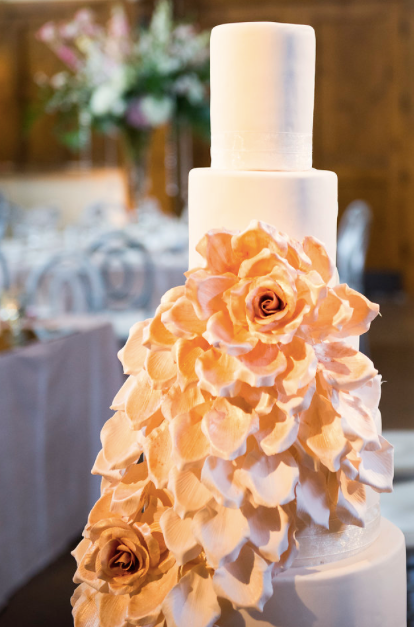 The centerpiece of it all was a five tier cake with hand formed sugar flowers, dusted with copper luster that perfectly matched the invitations and menus the wedding was designed around. 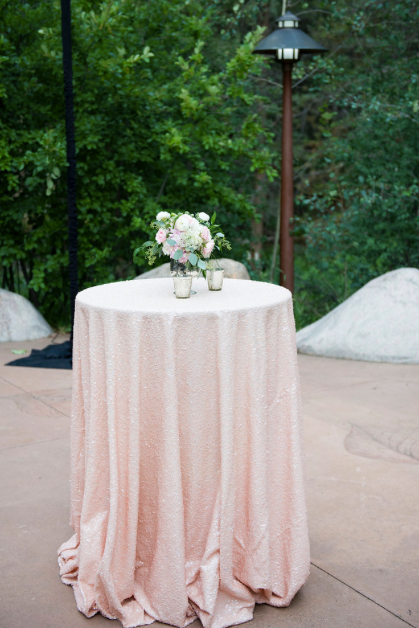 As the guests dined on local Colorado Tenderloin and Colorado Bass, the sun set and provided one of the beautiful sunsets that Colorado is known for. 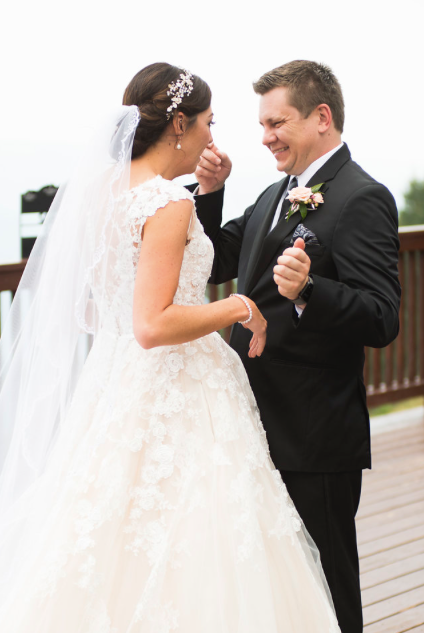 After the sun set, the guests danced into the night and joined Emily and Michael at a late night after party on Vail Bridge Street. 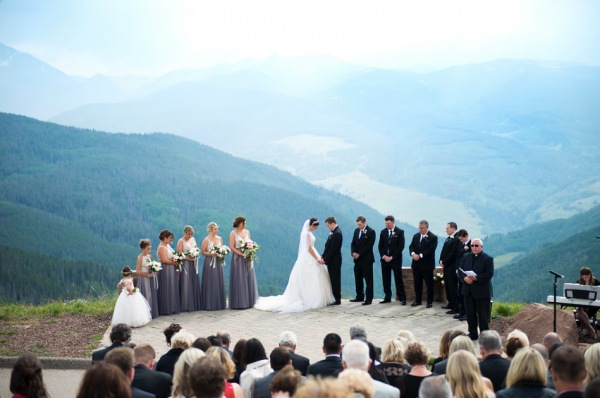 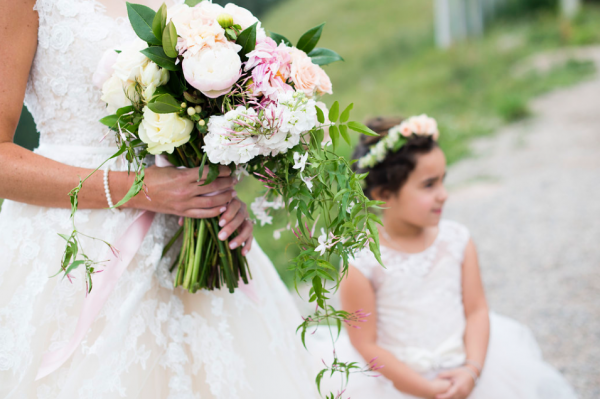 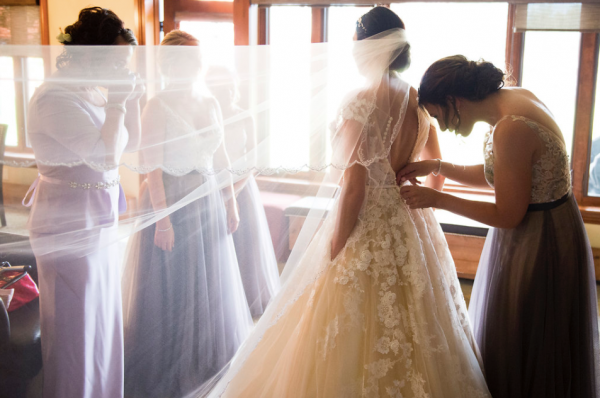 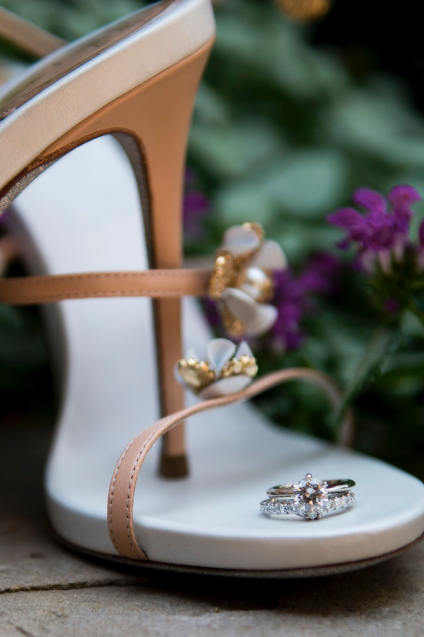 All in all, the once in a lifetime wedding brought together everything Colorado has to offer. 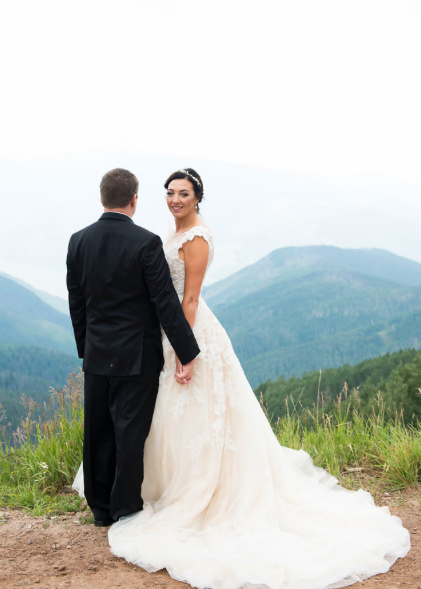 Mountain views, towering aspens, epic sunsets, top of the line food, and two people who fell in love.